When it comes to installing a tankless water heater, we know that services must be done quickly, precisely, and efficiently. After all, who wants to take a freezing cold shower or wash their hands with frigid water? When you replace your old tank water heater with a new tankless unit, on-demand hot water isn’t the only benefit you’ll enjoy. You’ll find that tankless water heaters take up less space, cost less to operate, and improve energy efficiency by up to 40 percent. To ensure that we’re installing your tankless unit as optimally as possible, the experts at Verday are constantly training in the classroom and in the field to remain up-to-date with new developments, technologies, and techniques. Whether you would like a new tankless water heater installed in a commercial or residential property, you can trust the experts at Verday Smart Solutions. 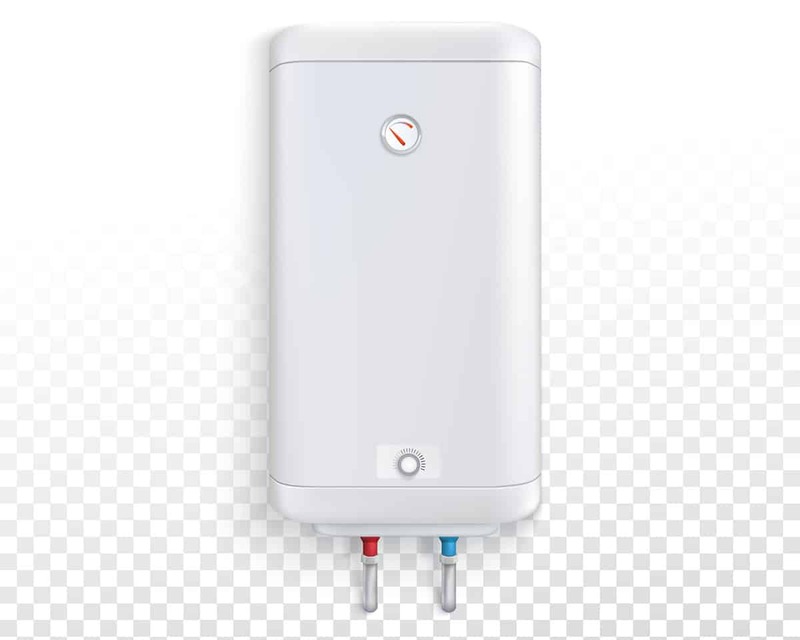 ​Verday Smart Solutions provides licensed and insured installation services for Rinnai tankless water heaters. These compact and energy-efficient units provide hot water right when you need it, even when they’re being used simultaneously from multiple fixtures. For instance, you can take a hot shower while running the dishwasher and washing your clothes! Rinnai tankless water heaters aren’t just convenient, they’re also extremely efficient. These units only operate when hot water is needed to save you a bundle on energy and utility costs. Because of their compact, wall-mounted design, we can install these water heaters in out-of-the-way spaces including crawl spaces and attics. Should you ever need to service your unit, we also offer trusted Rinnai water heater maintenance services. From installation to maintenance, our Rinnai water heater services are among San Diego County’s best. Give us a call to install your new Rinnai unit. Trust the installation of your Navien tankless water heater to the professionals at Verday Smart Solutions. Serving residential and commercial clients in the San Diego County area since 2011, our installation services are backed by our extensive expertise. 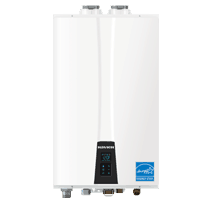 Installing a Navien tankless water heater in your home or building provides an endless supply of hot water on demand. ​These units are Energy Star certified with the highest energy efficiency rating in the industry. Having us install your Navien water heater as a replacement for your old, inefficient tank system or in a new construction project improves resale value by ensuring consistent, dependable use for years to come. Give us a call today to learn more about Navien water heaters and our installation services. Serving San Diego County for nearly a decade, Verday Smart Solutions offer professional installation services for Takagi tankless water heaters. These units provide an endless amount of hot water at the turn of a faucet, even when multiple fixtures are drawing from the source. Takagi water heaters use advanced technology and a compact build to go above and beyond tank heaters in terms of efficiency and design. Takagi tankless water heaters use much less energy than tank heaters, and because of their compact design, take up significantly less space. To start enjoying the savings and benefits of a tankless Takagi water heater, give the professionals at Verday Smart Solutions a call. ​The experts at Verday Smart Solutions have been installing Noritz tankless water heater for residential and commercial clients for nearly a decade. These tankless units are enjoyed for their endless supply of hot water, superior energy savings, and space-saving design. Because these efficient appliances operate only when hot water is needed, you can save up to 30% of energy and utility costs on a month to month basis. Should you already own a Noritz appliance and need a repair, we can help with that as well. Our Noritz tankless water heater repair services are renowned across San Diego County. Give us a call today to schedule the installation, maintenance of, or repair of your Noritz tankless water heater. ​Are you ready to enjoy a long, hot shower without worrying about the unwelcome invasion of cold water? Let the experts at Verday Smart Solutions install a new Rheem tankless water heater in your home or commercial establishment. From residential bathrooms to hotels, gyms, and spas, Rheem electric water heaters provide all the hot water you’ll ever need exactly when you need it. These compact units offer a continuous yet energy-efficient supply of perfectly heated water at just a third of the size of traditional tank appliances. For added convenience, Rheem tankless water heaters feature a digital display so you can see the exact water temperature. If maintenance is ever required, a self-diagnostic system displays a maintenance code for hassle-free troubleshooting. Call the professionals at Verday to install your tankless Rheem electric water heater, and start basking in the benefits. ​Have you ever dreamed of an endless supply of hot water? Have you ever wished that you could run the dishwasher, wash a load of clothes, and fill the bathtub with hot water at the same time? Using the pros at Verday Smart Solutions to install a new Ruud tankless water heater will transform your fantasies into reality. Ruud water heaters are designed to provide a dependable, energy-efficient, and low-cost operation for years to come. Built to be nearly the size of a medicine cabinet, Ruud tankless water heaters can be installed virtually anywhere—unlike bulky tank units. To add to their convenience, Ruud water heaters also feature a built-in diagnostic system that displays easy-to-read maintenance codes. Learn more about the benefits of these appliances and schedule your installation by giving us a call today.